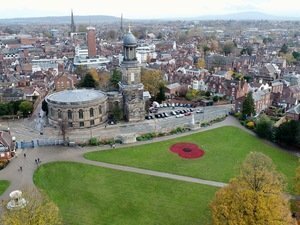 Maxwell Amenity were delighted to partner Shrewsbury Town Council to create a scaled up commemorative turf poppy in the Quarry. 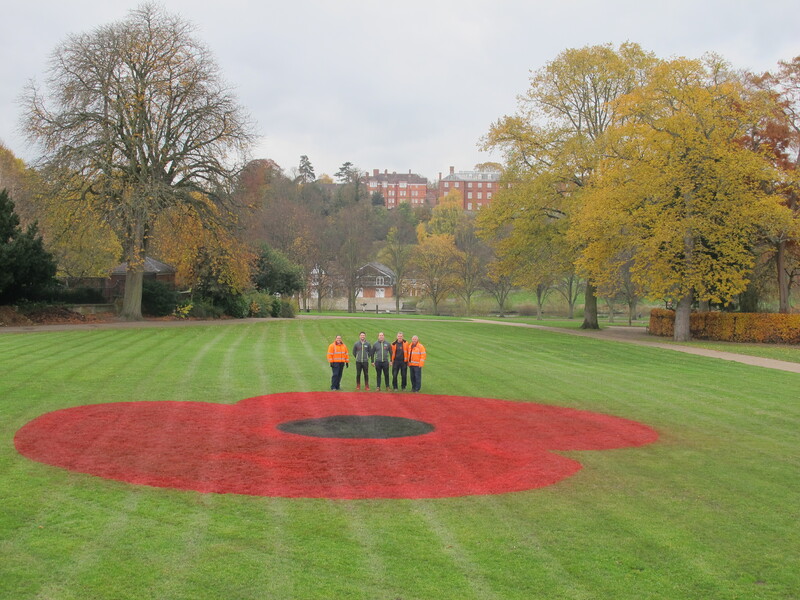 The poppy which spans over 100 m2 was created by ALS line marking specialist Ed Smith in advance of the 100 year commemoration of First World War Armistice and is believed to be the biggest poppy on display in the Midlands. Ed commented 'My Great Grandfathers served in WW1 and Grandfathers also served in the forces, so I was proud to create such a visual tribute to honour and remember all our serving soldiers and veterans. We approached the council with the idea and they were very receptive to the tribute. We are delighted it boosts the fantastic Remembrance Sunday commemorations which were focussed outside St Chads Church". Keep up to date with industry news, get great hints and tips and receive exclusive special offers all direct to your inbox. Want the latest news, ideas and exclusive offers direct to your inbox? Then sign up to our monthly newsletter. Please enter your postcode to calculate delivery charges, if applicable.